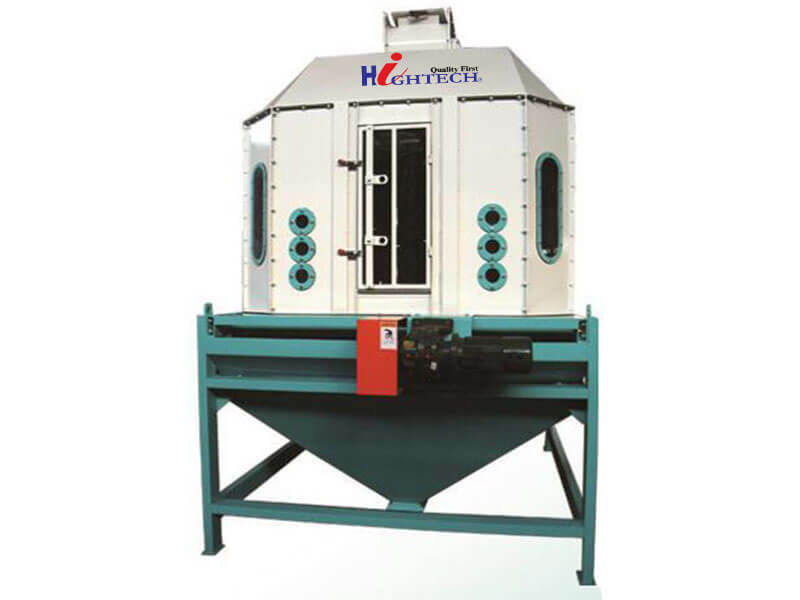 Used in cooling granular feed,expanded feed and extruded feed,especially for expended feed and extruded feed. 1. Adopt the principle of counterflow cooling,making materials cool fully and uniformly. 2.Swinging-board discharge part is controlled by flexible hydraulic system with uniform,smooth and speed-controlling discharge.